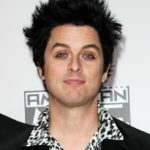 Billie Joe Armstrong is an American musician, singer, songwriter and actor who is best known as the lead vocalist, primary songwriter, and guitarist of the punk rock band Green Day, which he co-founded with Mike Dirnt. He is also a guitarist and vocalist for the punk rock band Pinhead Gunpowder and provides lead vocals for Green Day’s side projects Fox boro Hot Tubs and The Network. Raised in Rodeo, California, Armstrong developed an interest in music at a young age, and recorded his first song at the age of five. He met Mike Dirnt while attending elementary school, and the two instantly bonded over their mutual interest in music, forming the band Sweet Children when the two were 15 years old. "Punk has always been about doing things your own way. What it represents for me is ultimate freedom and a sense of individuality." "I don’t want to limit myself musically. It would be really limiting if we’d neglect something we really want to do, like explore other styles of music." "There’s an honesty in our family – my kids and I are able to talk about things without me putting the fear of God into them." "Punk is not just the sound, the music. Punk is a lifestyle." "Music – that’s been my education. There’s not a day that goes by that I take it for granted." "The things that people do now in sports, you can’t even believe. These are complete total athletes. To see what human beings can do in the highest level is amazing." "In every song I write, whether it’s a love song or a political song or a song about family, the one thing that I find is feeling lost and trying to find your way." "For some young people, their first experience ever hearing punk rock music was playing the Green Bay Packers on ‘Madden’." "I sort of enjoy the fact that I’m misunderstood most of the time. That’s fine." "The first time that you escape from home or the small town that you live in – there’s a reason a small town is called a small town: It’s because not many people want to live there."